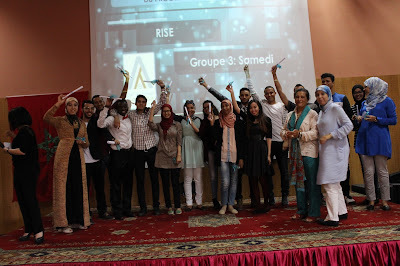 Eight months ago, Dar Si Hmad opened applications for its youth empowerment RISE & THRIVE programs. 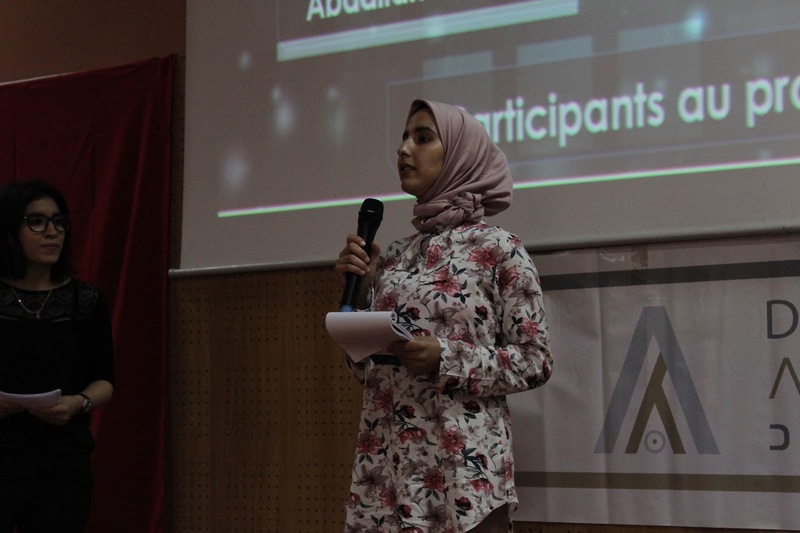 Students based at regional universities like Ibn Zohr and young professionals based in Agadir were invited to apply for a year-long professional development initiative. 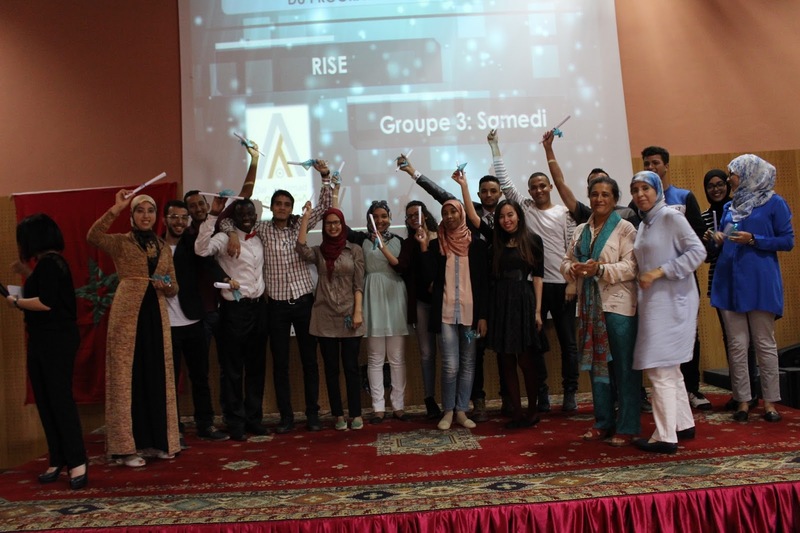 RISE provides young Moroccans with the professional competencies to enhance their employability and entrepreneurship potential. Youth from the local vocational school, Centre de Formation par Apprentissage (CFA), were engaged with a partner project, THRIVE. 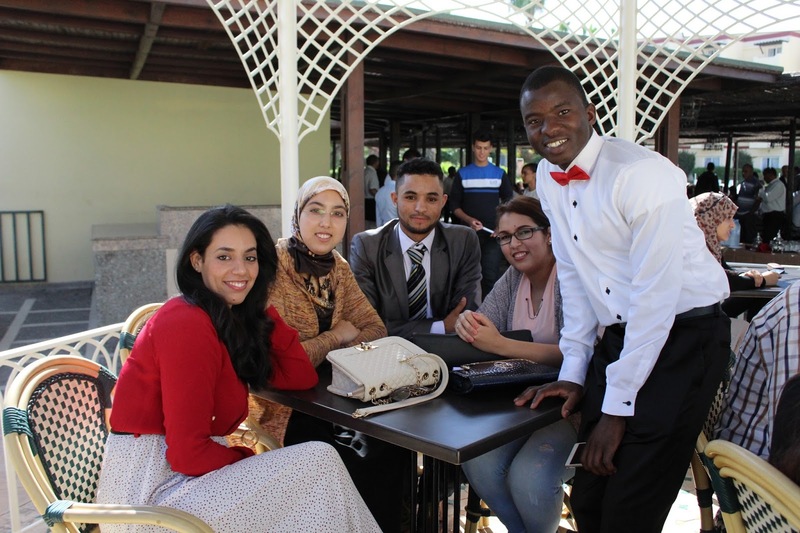 On Tuesday 10 November 2015, RISE participants attended their Integration Day. 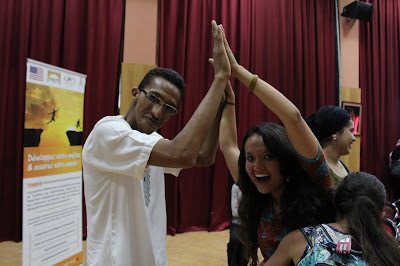 The same week, CFA students met THRIVE mentors and began their program. 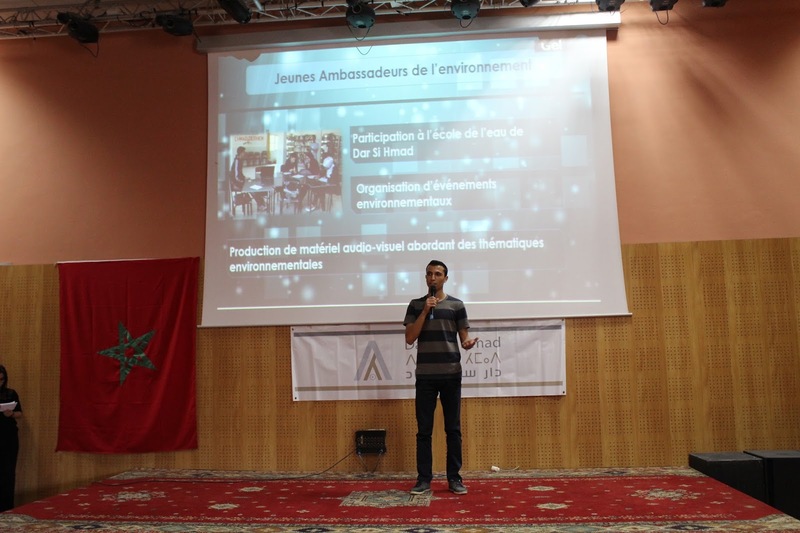 During the next seven months, over 200 Agadir youth dedicated substantial time to building their computing, public speaking, financial, teambuilding, entrepreneurial, management, and language skills. Weekly sessions with training experts, extracurricular projects, and monthly Common Core conferences have shaped these young people into powerful forces. This Saturday, RISE & THRIVE students gathered to celebrate the completion of the program. 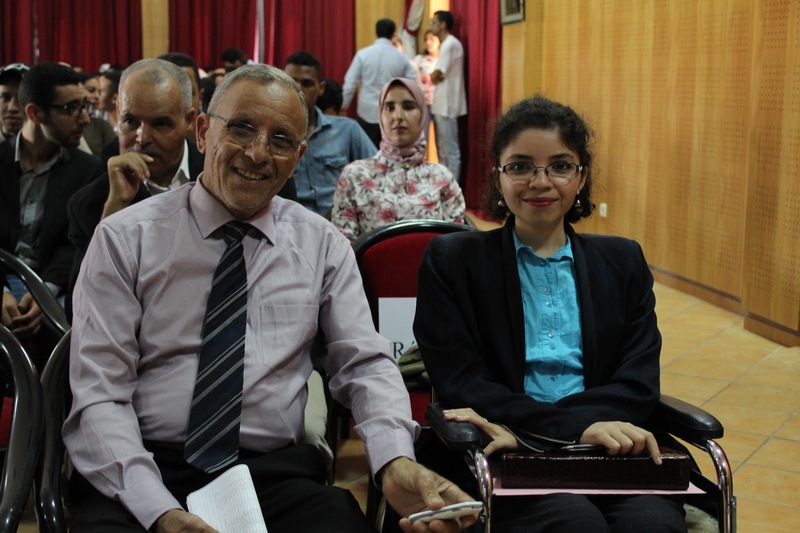 M Hamid Sougri, Direction of the Centre de Formation par Apprentissage, and his daughter, a PhD researcher of English and American Culture, attended the Dar Si Hmad Graduation Ceremony to congratulate CFA students on their successful completion of the THRIVE program. 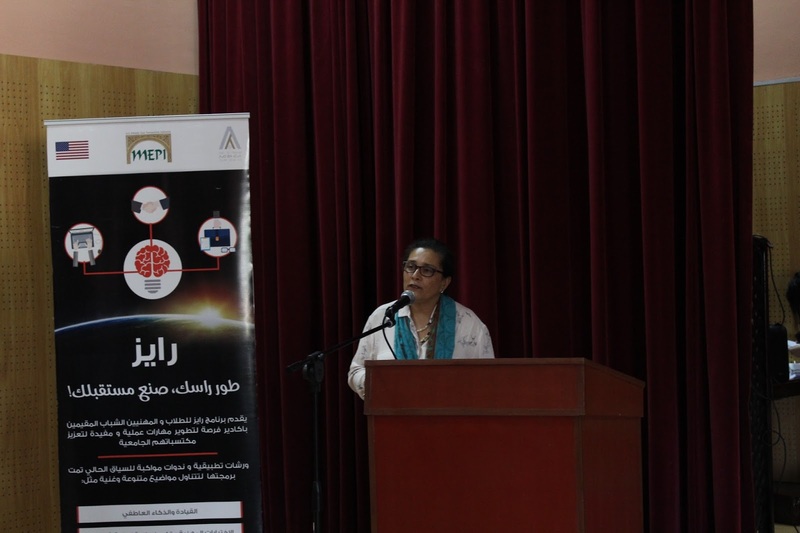 Dar Si Hmad Director Jamila Bargach welcomed attendees to Saturday’s Graduation Ceremony and congratulated the students on their hard work. Each graduate was awarded a RISE & THRIVE Diploma certifying their participation in the program and a thumb drive with helpful resources. Representative RISE & THRIVE students addressed the audience, sharing their experiences and future goals. Hanane Kimmat reflected on how THRIVE helped her grow. 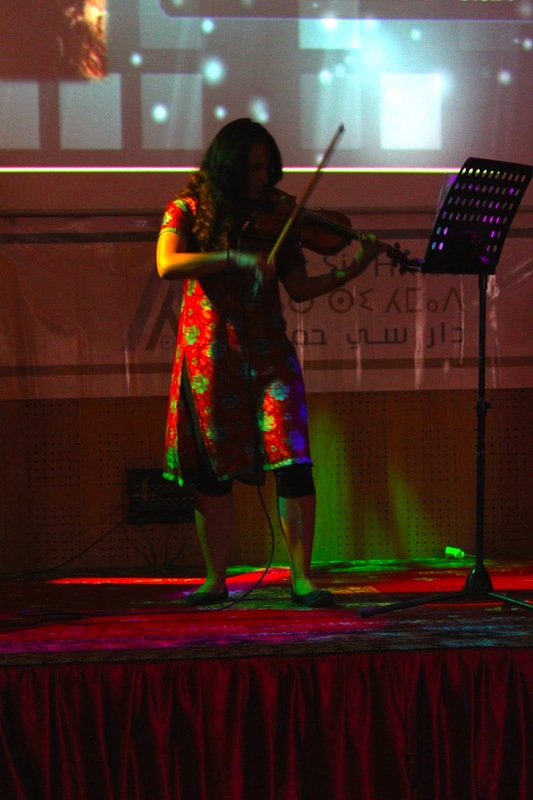 THRIVE participant Abdullah Farnina shared how, before working with Dar Si Hmad, he would not have been able to speak on stage. Abdelhaq Ait Boulhous gave a powerful speech about the power of words. Participant Mahdi Lafram, who shared his experiences with the US MEPI Student Leaders Program early in the RISE calendar, introduced Dar Si Hmad’s new Environmental Youth Ambassadors initiative. 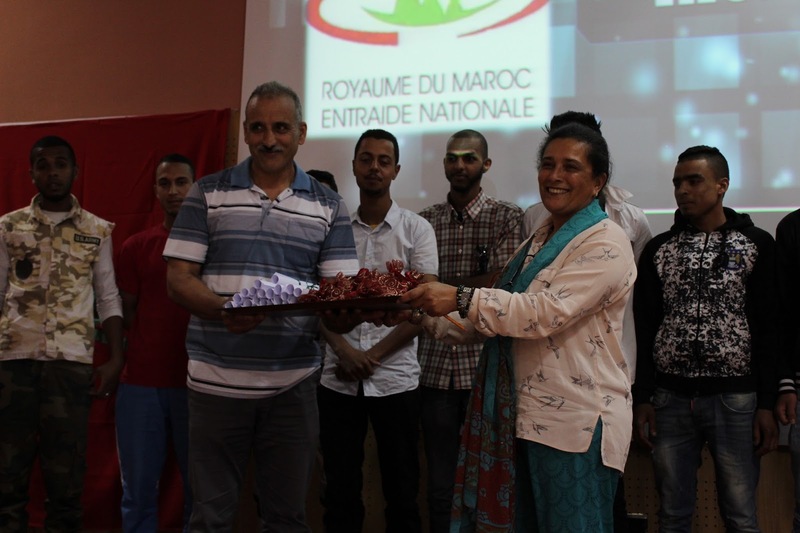 Thanks to a partnership with the US Embassy in Morocco, six RISE Participants are joining Dar Si Hmad for an environmental journalism initiative. During the last module of their RISE & THRIVE program, participants were challenged to work in small teams to develop business proposals. Winning projects, one each from the RISE and THRIVE cohorts, were awarded $500 for the implementation of their projects. On Saturday, Dar Si Hmad, with the support of US-MEPI, supported two local start-ups. 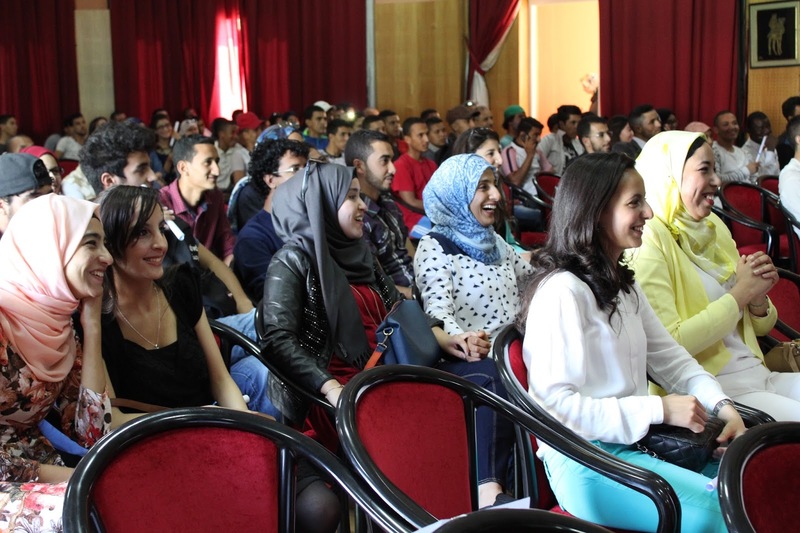 A summer camp for young entrepreneurs and a communications agency are now being created in Agadir. The ceremony ended with a violin performance by Fulbright English Teaching Assistant and Dar Si Hmad Intern Arielle Moss. Students who have had Arielle as a mentor clapped and cheered as her beautiful music celebrated the friendships that have grown over the past eight months. After the awards, friends and supporters gathered around a delicious buffet. From all of us at Dar Si Hmad, mabrook (congratulations) to our graduates, and thank you for an amazing eight months! Introducing the Environmental Youth Ambassadors! !